This is another of what I call composed, or perhaps ‘entertaining’ salads, and is shaped purely by the wonderful produce available at this time of year. 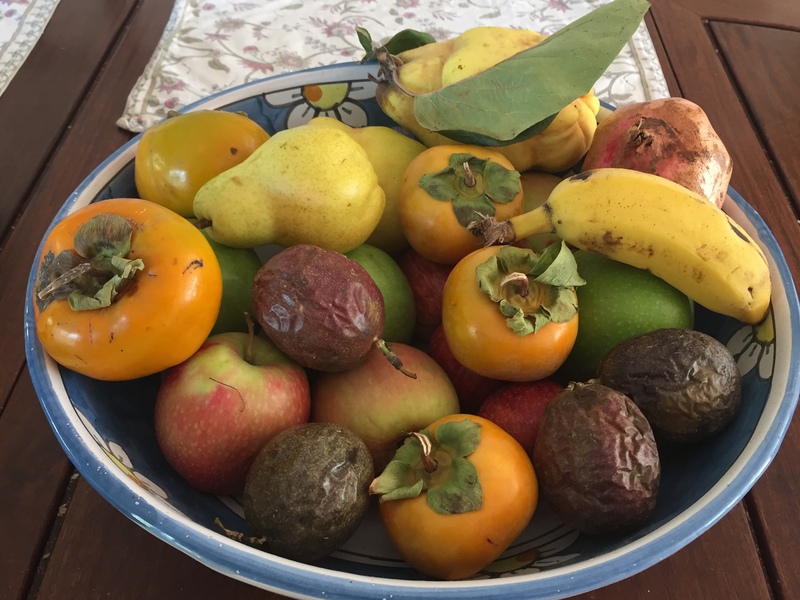 It always takes me by surprise that the markets can still be full of plums and figs while apples, pears and persimmons are coming into season! Wash salad leaves and dry well in a salad spinner or similar. Tear any larger pieces and spread over the base of a large platter. Lightly toast walnuts, either in a 180C oven for about 5 minutes, or in a small pan on the stove, and allow to cool before chopping roughly. 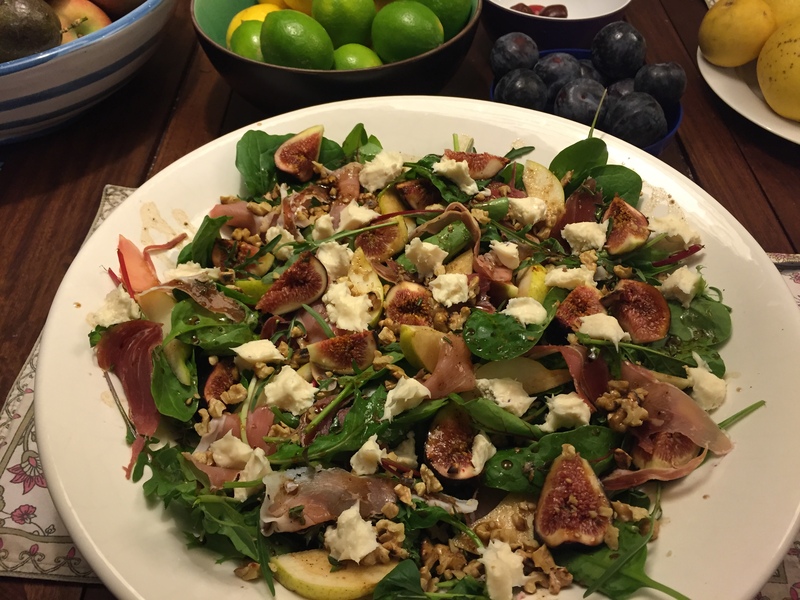 Slice the pear thinly, quarter the figs, and lay the fruit over the lettuce leaves. Tear the prosciutto into pieces and lay over the top, followed by the walnuts and crumbled cheese. Drizzle with the dressing just before serving and toss very gently with your fingers. Whisk oil, vinegar and mustard together and season with salt and pepper to taste. Thanks Kristy! It makes it easy when the produce is so wonderful! It feels like it, doesn’t it? Though it may be partly that going to the farmers’ market makes you so much more aware of what is in season as the bounty is so ‘in your face’! A delicious looking combo Beck. It is a great time of the year for good constructed salads. Beautiful! I love your collection of recipes. Looking forward to trying out a few! Glad you enjoy Merritt, and thanks for following! I like the combo of Gorgonzola cheese, fig, Proscuitto and pear! Sweet and salty. Proscuitto is one of my favorites. I had it today with my homemade bread Nd a spoonful of cream cheese.